Lisa Jackson recently announced she will be resigning from her post as administrator of the Environmental Protection Agency. Her dedicated leadership will be missed, but she leaves behind an extraordinary legacy that will improve the lives of millions of Americans. City dwellers across the nation are breathing cleaner air. Drivers are hitting the road in cars that go father on a tank of gas and save money at the pump. And residents who depend on the Chesapeake Bay and the Appalachian mountain streams will be getting cleaner water. But Jackson prevailed because she based her work on two unassailable sources: the best scientific evidence and the dictates of the Clean Air Act, the Clean Water Act, and other time-honored statutes. Poll after poll confirmed that voters valued the EPA and supported the Obama Administration’s commitment to safeguards. Her opponents often represented polluting industries, but Jackson delivered what most Americans want: safe air and water for our families. 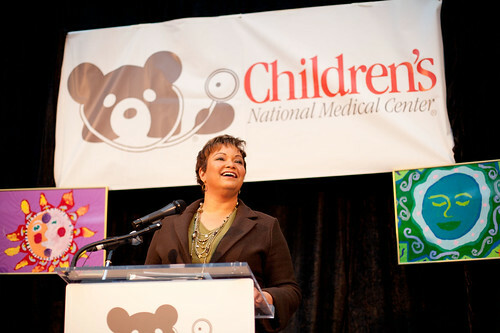 EPA Administrator Lisa Jackson announcing the first-ever mercury and air toxic standards for power plants at Children’s National Medical Center. Photo Credit: EPA. By honoring the law and protecting the health of ordinary people, Jackson showed us that sound government leadership makes our nation stronger and more vibrant. I am sorry to see her leave the Obama administration, but I know her accomplishments will live on in the form of cleaner air, safer drinking water, and a more stable climate. The first-ever national standards to limit mercury and other dangerous emissions from power plants, for instance, will save up to 11,000 American lives every year. They will also prevent nearly 5,000 heart attacks annually and protect children from neurological damage. Mercury is a potent neurotoxin that damages developing brains in children and fetuses, yet power plants have been resisting mercury rules for decades—even as every other major industrial sector in America already started reducing their mercury pollution. Jackson knew it was time for power plants to clean up their act, and she established strong standards that will finally prompt them to do so. As the mother of a boy who suffers from asthma, Jackson has been a fierce champion of the Clean Air Act. But she has also pushed to make our nation’s waterways cleaner. She laid out the first comprehensive plan for saving the Chesapeake Bay from pollution that is literally choking the life out of the largest estuary in our country. She protected Appalachian streams from devastation by rejecting the Spruce No. 1 Mine—the largest mountaintop removal coal operation proposed in West Virginia—plan to dump rubble, coal dust, selenium, and other toxic pollution into the region’s waterways. And she worked tirelessly throughout the BP oil disaster to reassure Gulf residents that the administration would restore this national treasure. But perhaps Jackson’s most far-reaching achievement is her leadership on climate change. She oversaw the EPA’s determination that carbon pollution and other greenhouse gases endanger human health and well-being. Following four decades of Clean Air Act precedent, the EPA used that determination as the basis to begin reducing carbon pollution. The agency—with firm backing from the White House—proposed the first-ever limits on carbon pollution from new power plants. And it helped broker a deal with automakers to cut carbon pollution from cars by doubling fuel efficiency by 2025. These new car standards will save consumers $100 billion a year at the pump, save 3 million barrels of oil a day, and cut the carbon pollution from our cars in half. These are remarkable accomplishments, but Jackson would be the first to say there is unfinished business awaiting her successor. First and foremost, the agency must issue standards to reduce carbon pollution from existing power plants. And the EPA needs to finish the work it has begun on restoring full protections to America’s headwater streams and wetlands—protections that stood for decades before the Bush Administration stripped them away. I don’t know who will take Jackson’s place at the EPA, but I do know she has made it easier to protect Americans from pollution. Administrator Jackson has stood up for our environment and health. She has stood up for the 17,000 committed professionals who work at the EPA. And she has stood up to the special interests of the big polluters and their political allies in Washington. She did it with passion, with dignity and with grace. She set a high bar for the next administrator. She set a high bar for all of us. We owe her a great debt of thanks. And we salute her and wish her well.